Dr. Mona Kaur, an integrated GP from The Centre for Health and Wellbeing in Norwood, very kindly came to speak to our members on Saturday the 11th of August 2018 on the topic of "ME/CFS and Gut Health". She was a wonderful speaker to listen to and injected a great sense of humour into her talk. ME/CFS affects up to 2.6% of the global population and up to 1 in 50 school-aged children. It affects more women than men, has a suicide rate 7 times higher than the general population and is often preceded by an infection such as glandular fever. Research has found that the gut microbiome in ME/CFS sufferers is NOT normal, which leads to gastrointestinal symptoms. Typically they have lower microbial diversity, higher levels of pro-inflammatory and lower levels of anti-inflammatory microbes. Increased inflammatory markers in sufferers’ blood are likely caused by leaky gut. 1. Differences in gut microbiota in people with ME/CFS compared with healthy people. 2. Elevated levels of short chain fatty acids in ME/CFS patients due to increased fermentation taking place in the guts of these patients and hence they have reduced ability to make digestive enzymes. 3. Greater oxidative stress in ME/CFS patients resulting in more cell and tissue damage. 4. Differences in energy metabolism in ME/CFS in that there is a significant shift to energy production from sugars to amino acids. 1. Differences in the levels of 6 types of gut bacteria were strongly linked with ME/CFS. 2. People with ME/CFS and IBS have higher levels of Alistipes bacteria and lower levels of Faecalibacterium. 3. People with ME/CFS but no IBS had higher levels of Bacteroides and lower levels of Bacteroides vulgatus. 4. Much like IBS, ME/CFS may involve a breakdown in the bidirectional communication between the brain and the gut. Another recent study, by Wallis A. et al, found similar neurocognitive symptoms between ME/CFS and D-lactic acidosis suggesting a role of lactate producing bacteria in ME/CFS. This supports the notion that lactate producing bacteria like Streptococcus species produces some ME/CFS symptoms. It was also found that reducing Streptococcus counts improved sleep AND cognitive symptoms. Studies have so far neglected viruses but they have the potential to alter the function and structure of the microbiome. Acute or chronic virus infections may contribute to the induction of autoimmune processes in ME/CFS. Dr Kaur talked us through the different types of gut function testing and dietary, supplement/nutrient, probiotic/prebiotic/symbiotic and herbal/botanical treatments for gut symptoms. She also discussed antibiotic and antifungal treatments as well as faecal microbiota transplantation (FMT) and the gut-brain connection in ME/CFS and how to improve it. 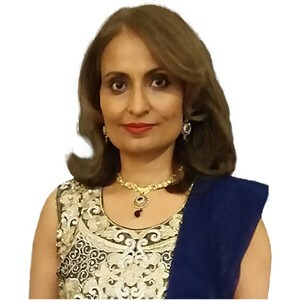 Dr. Kaur also provides consultation services by telephone via GP2U, for those who are house or bedbound or cannot physically attend doctor’s appointments. call us on ph 1300 128 339 or email bcaldwell@sacfs.asn.au.